Last Christmas my hubby bought me this gold monogrammed coffee cup. It was the perfect gift for me. The gold/monogram combo is right up my alley. I was so excited about it, but then I realized it wasn't going to be very useful for my morning cup of tea or coffee. As a mom of a toddler, I end up reheating my coffee more times than I can count each morning and if you've ever had a cup like this you know that you can't microwave it. The gold finish will set off a mini fireworks show in your microwave. Not really the way I want to start my day. So I set out to find another use for it. I settled on using it as a succulent planter and I love it! 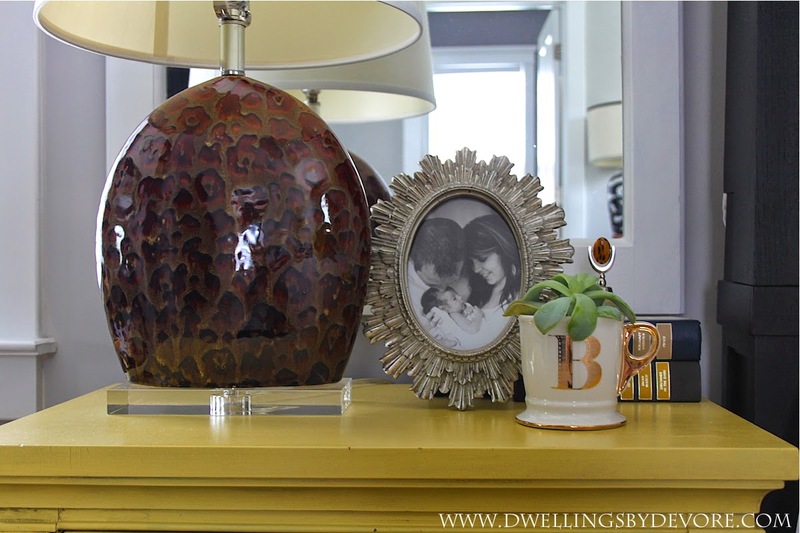 It's adds a nice touch of greenery to my nightstand. Check back later this week for a small office update! Such a pretty cup and you found the perfect solution for it. oh my gosh! i am always reheating coffee, too! so glad you found an amazing use for it- looks perfect as a planter! Adorable. Seeing gifts from my hubby always gives me warm fuzzies. 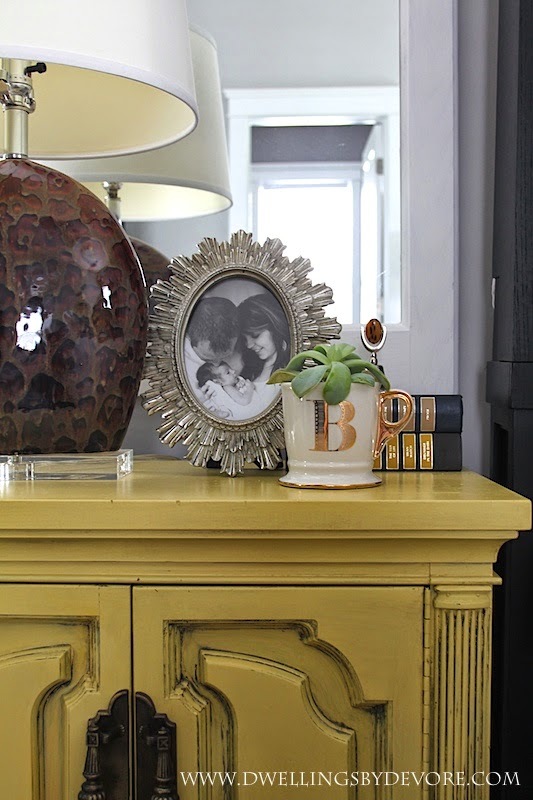 Love how you used the mug as a planter - beautifully styled with that gorgeous pic of your fam! Love the cup, I want one. How fabulous is that. Looks cute! 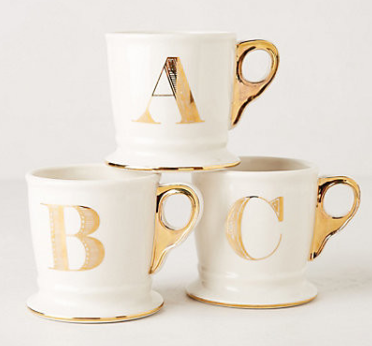 I don't drink coffee, but I love the look of mugs so this might be something I could try with the cute ones. I can't finish a cup to save my life!! I love it as a planter! 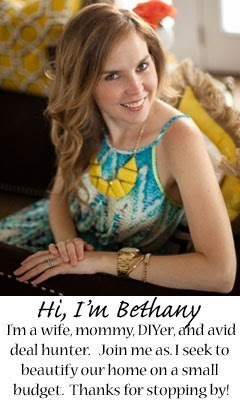 yes, too pretty to be destroyed, you thought of a perfect use for it Bethany! What a cute little mug. I never thought of not being able to reheat the gold ones! I have the older black and white one that I was thinking of replacing, but I'm the same as you I can't drink a cup of coffee in one setting! This was a perfect solution!!! Love this idea and those mugs are too cute!